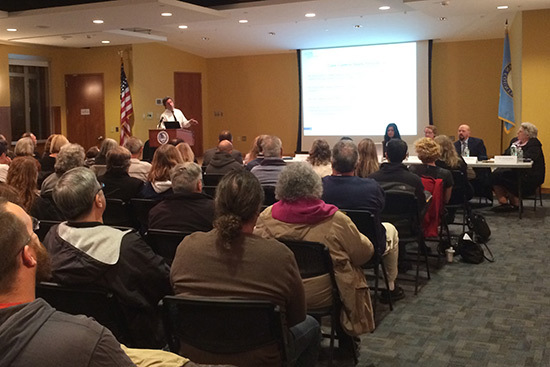 Scientists from the NIEHS Division of the National Toxicology Program (NTP) presented study findings directly relevant to the citizens of Toms River, New Jersey, during a Feb. 4 public meeting on styrene-acrylonitrile trimer, also known as SAN trimer. A byproduct of the manufacture of acrylonitrile styrene plastic, SAN trimer is one of the contaminants at the Reich Farm Superfund site in Toms River. After the U.S. Environmental Protection Agency (EPA) asked NTP to study the chemical, NTP began an extensive design, study, and peer review process. Results, published in 2012, concluded that SAN trimer did not cause cancer in male or female rats. Prior to the NTP studies, EPA lacked scientific information about the compound. Now, EPA is using the findings, along with other data, to establish cleanup levels for the Superfund site. The public meeting was held to inform the community about the toxicology and carcinogenicity study results and planned cleanup levels for SAN trimer in the soil and groundwater. EPA Region 2 invited toxicologist Mamta Behl, Ph.D., and pathologist Susan Elmore, D.V.M., to discuss the research. “I was very pleased to have the opportunity to represent NTP at this public meeting,” Behl said. 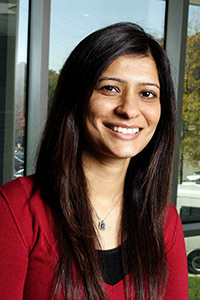 “It is a very different experience presenting to nonscientists, and it’s something we need to do more of.” Behl also expressed appreciation for having her pathology colleague Elmore along to explain the rigorous process. Behl outlined the study process, from the nomination of the chemical to the publication of final conclusions in NTP Technical Report 573. 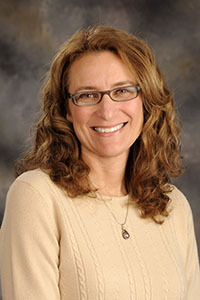 She explained the rationale for testing in rats, noting that the 2-year bioassay studies are the gold standard for identifying potential human carcinogens. Behl said the studies were designed to determine whether SAN trimer caused cancer or other toxic effects in rats, following lifetime exposure starting in the womb. As part of the study, pregnant rats and their offspring were fed one of three doses of SAN trimer (400, 800, or 1,600 parts per million). The scientists performed a comprehensive assessment and found no effect on survival or on pregnancy and littering, and no significant increase in cancer. Elmore focused on the pathology process and results. She said that since the nervous system was a potential target for cancer, NTP conducted a more detailed evaluation of the brain, spinal cord, and peripheral nerves than is typically done in 2-year studies. Elmore also described the additional reviews performed to thoroughly evaluate all tumors and other lesions. In its final conclusions, NTP found no evidence that SAN trimer caused cancer in male and female rats. Some noncancer effects, such as peripheral nerve damage in the exposed male and female rats, were reported. next article - "Linking high-throughput data to ..."